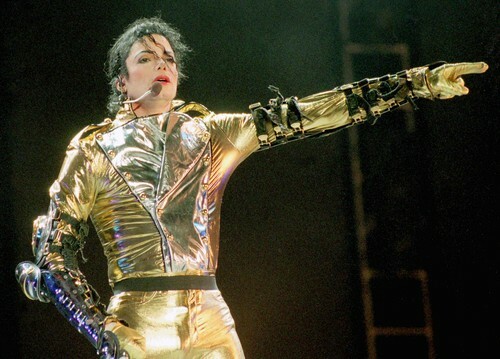 The "HIStory" tour spanned the globe with stops in 56 cities, 35 countries on 5 continents, and included 82 concerts to about 4.5 million people. 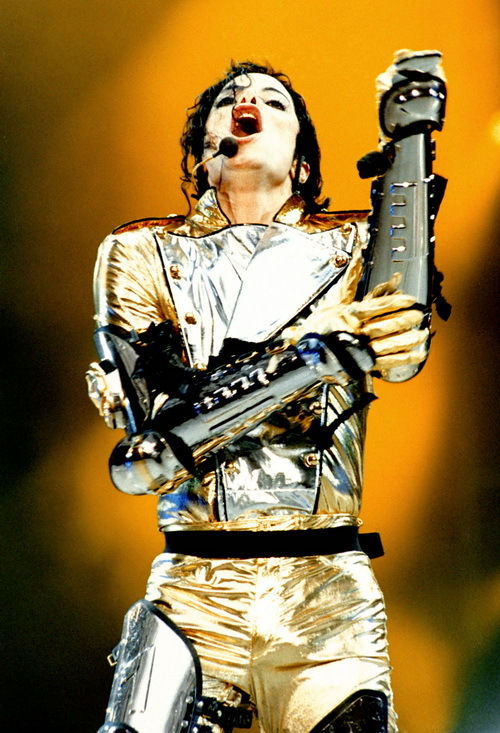 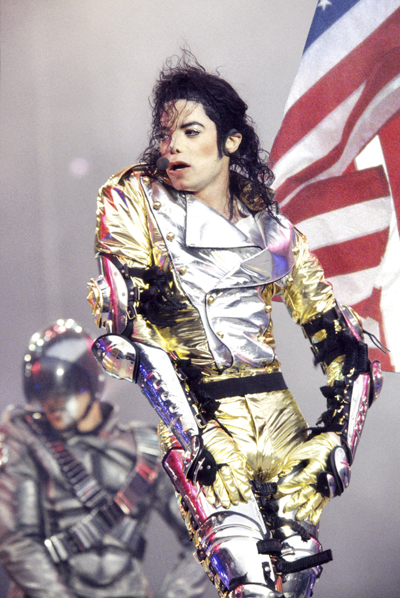 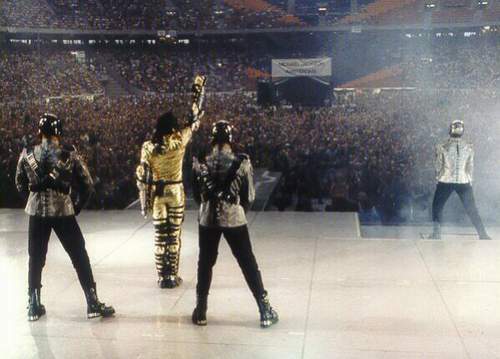 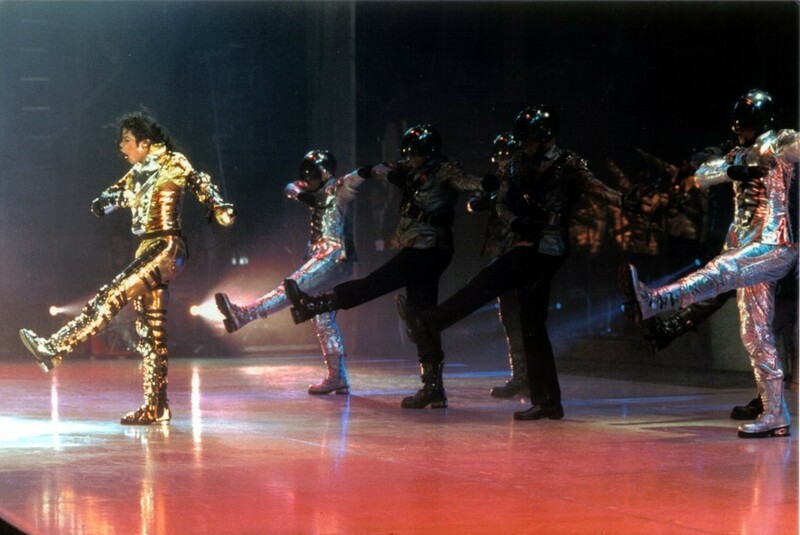 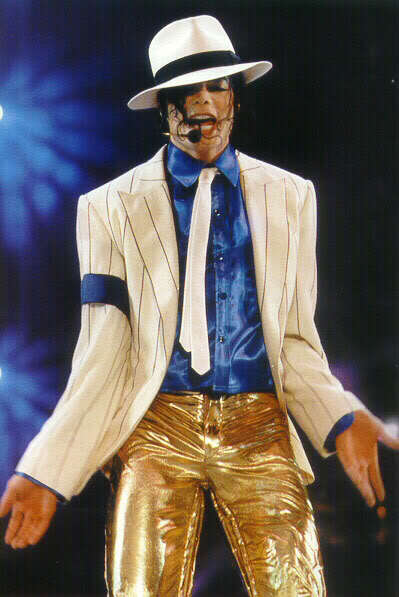 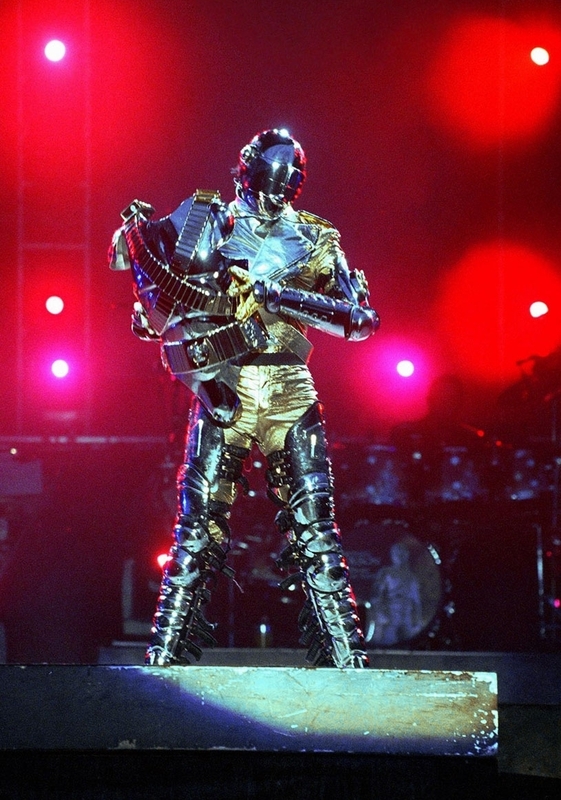 Michael Jackson's "HIStory" World Tour is the biggest world tour any performer had ever done!!! 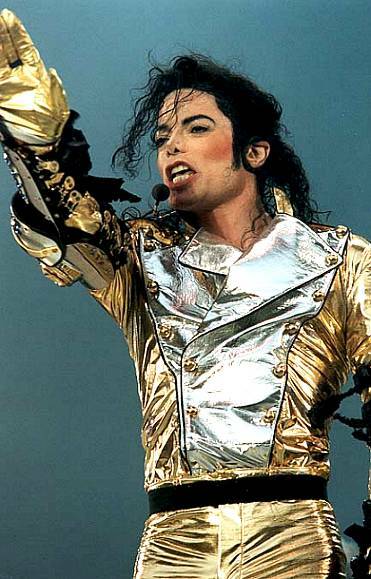 Only hours after kicking off the Australian leg of his "HIStory" World Tour on November 14, 1996 Michael married Debbie Rowe in a civil ceremony in his presidential suite at the Sheraton-on-the-Park Hotel in Sydney. 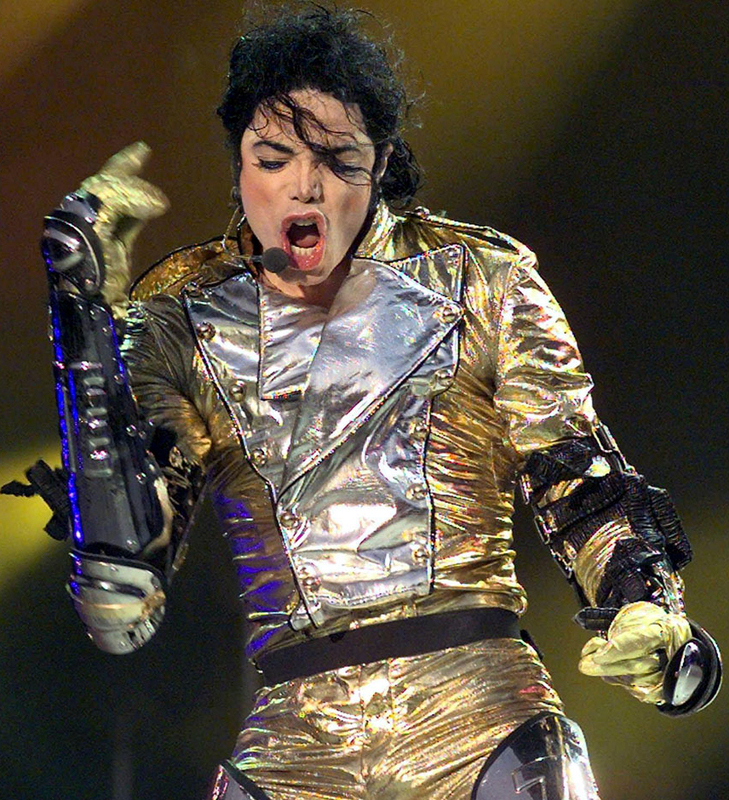 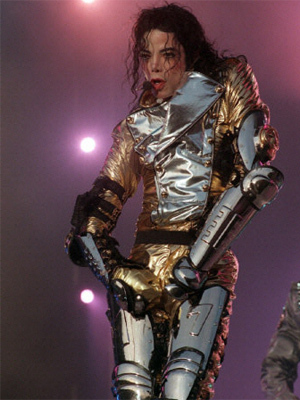 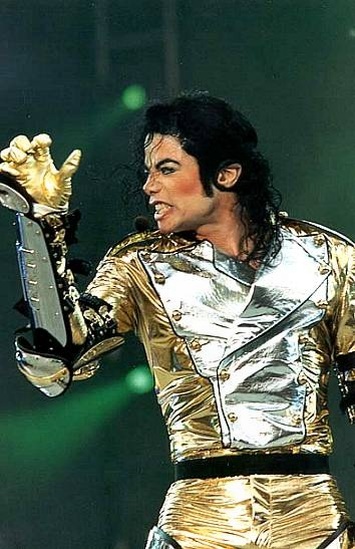 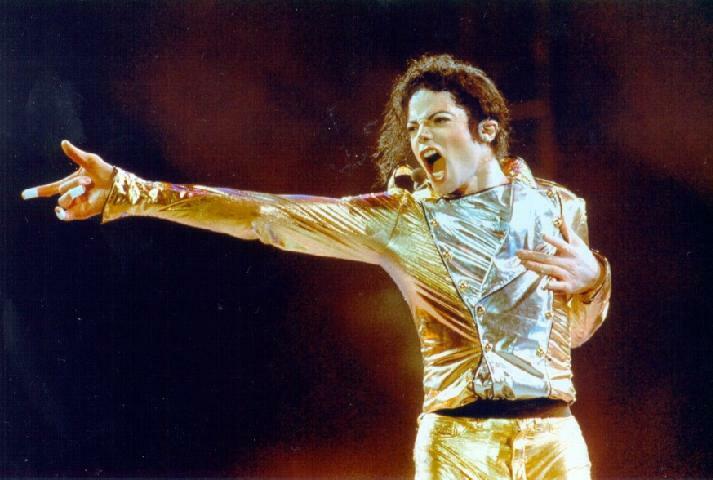 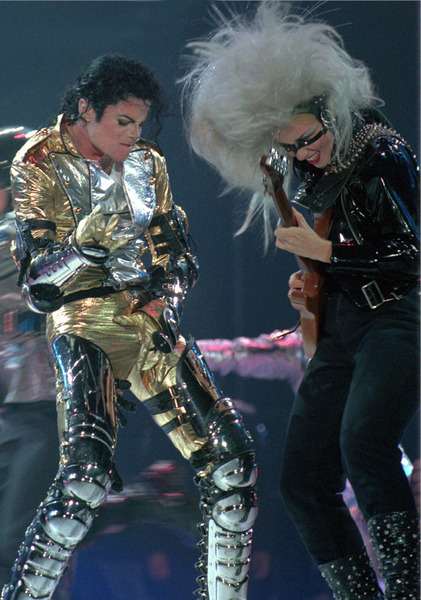 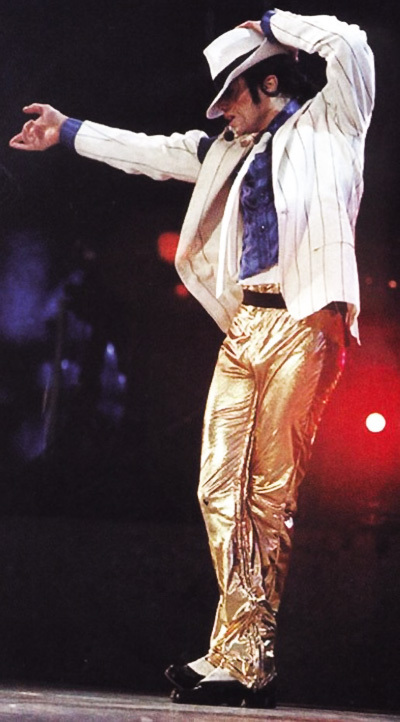 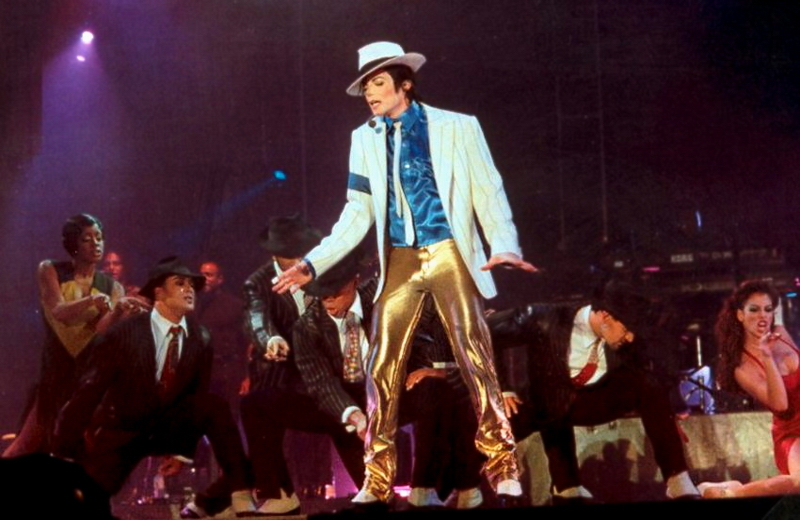 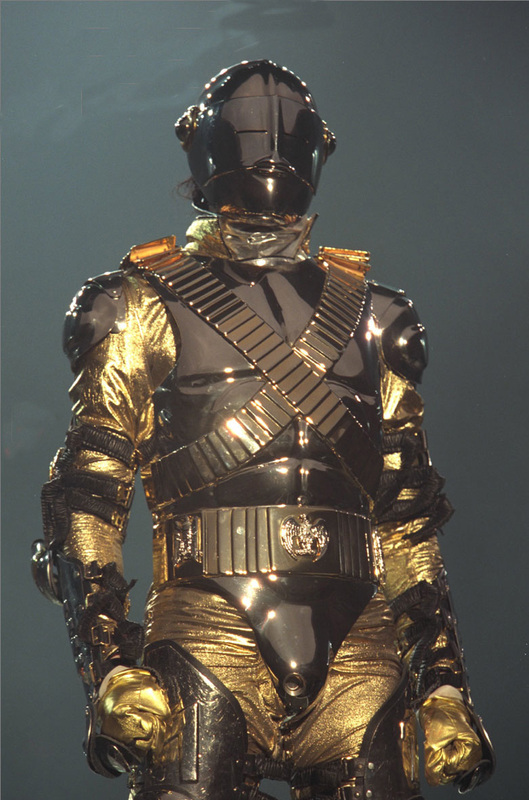 Michael's gold costume was designed by Gianni Versace who already designed some clothes for Michael for his "Dangerous" tour. 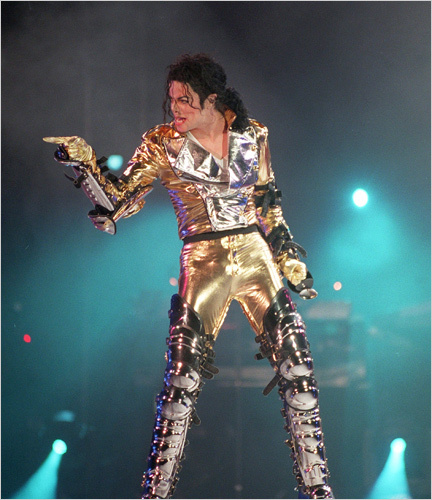 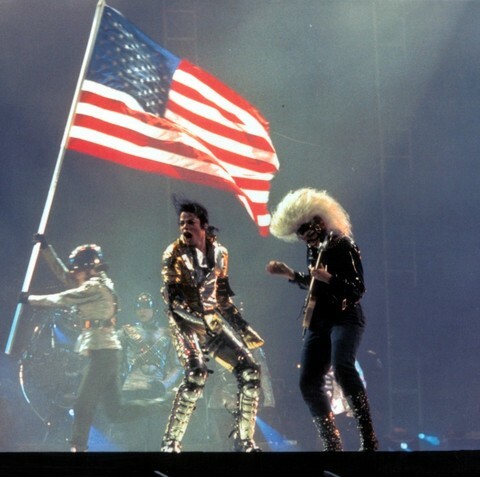 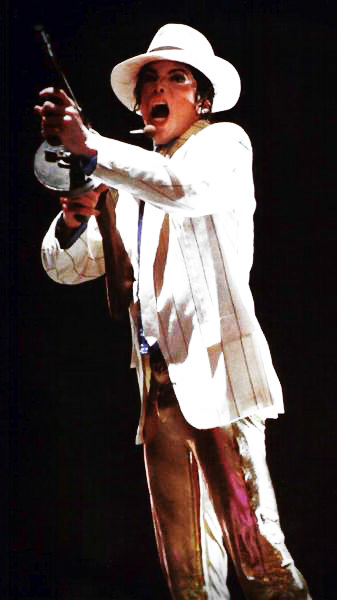 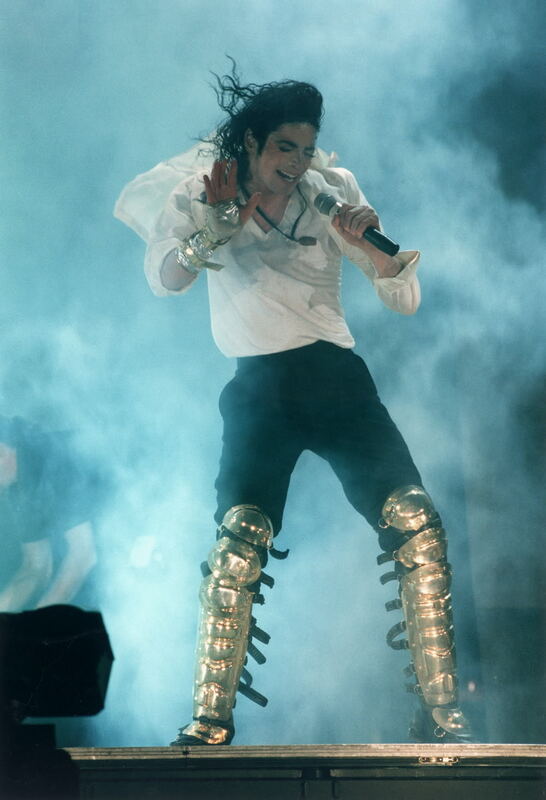 Michael's two "HIStory" concerts in Munich, Germany on July 4 + 6, 1997 at Olympic Stadium were recorded. 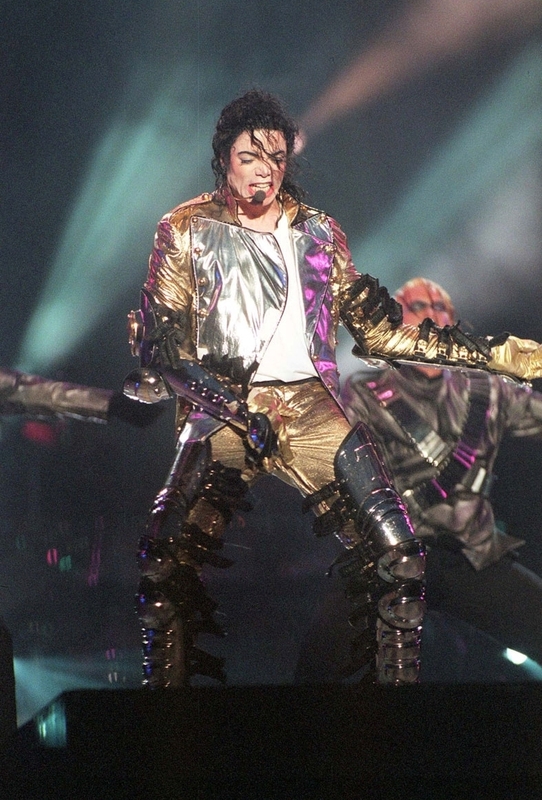 The concert [containing footage of both shows] was televised by German TV-channel SAT. 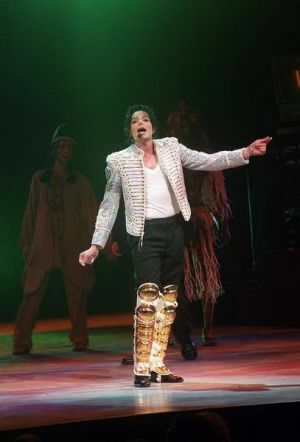 1 and later in many other countries. 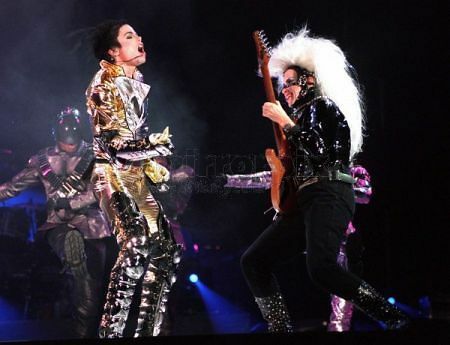 Plus concerts in the following countries were recorded and later shown over network television: Bucharest [Rumania] - Sept. 14, 1996, Kuala Lumpur [Malaysia] - Oct. 1996, Auckland [New Zealand] - Nov. 1996, Manila [Philippines] - Dec. 1996, Copenhagen [Denmark] - Aug. 1997, Gothenburg [Sweden] - Aug. 16, 1997 and Helsinki [Finland] - Aug. 1997. 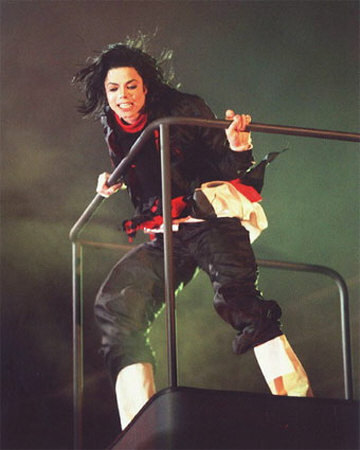 One "HIStory" concert in Seoul, South Korea in 1996 at Chamsil Olympic Stadium was recorded and a VHS video cassette [NTSC] of this great concert was commercially released by Sony Music for the Asian market. 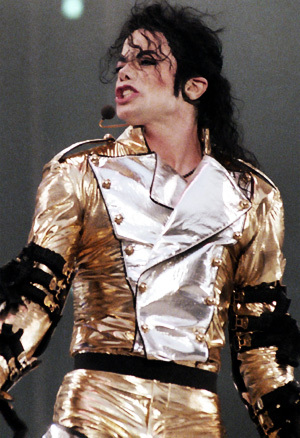 This is the only [!] 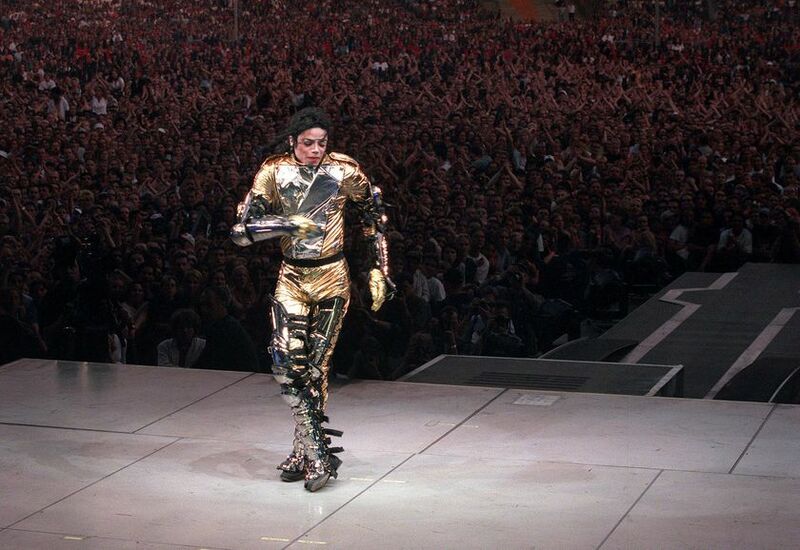 Michael Jackson concert ever commercially available. 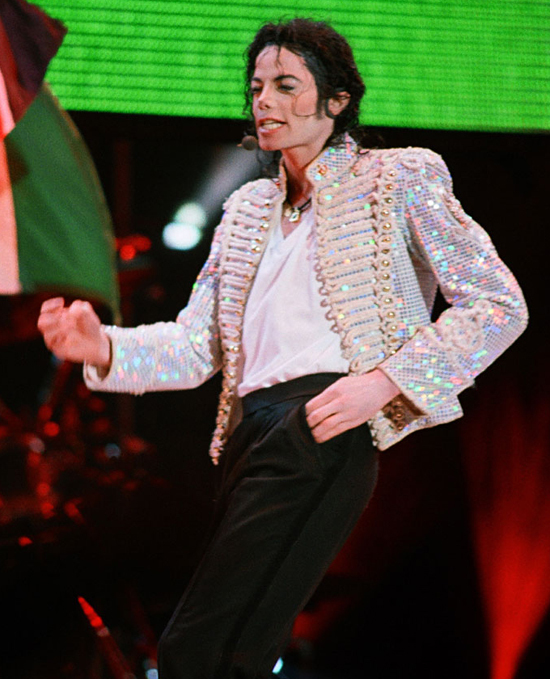 At every "HIStory" tour stop, during "You Are Not Alone", one lucky girl was allowed to dance with Michael on stage.